Koobr are our first port of call for any of our marketing needs. They assisted in the lead-up to our Harvest Festival and they did a fantastic job. They were extremely efficient and the work produced was of incredibly high standard. 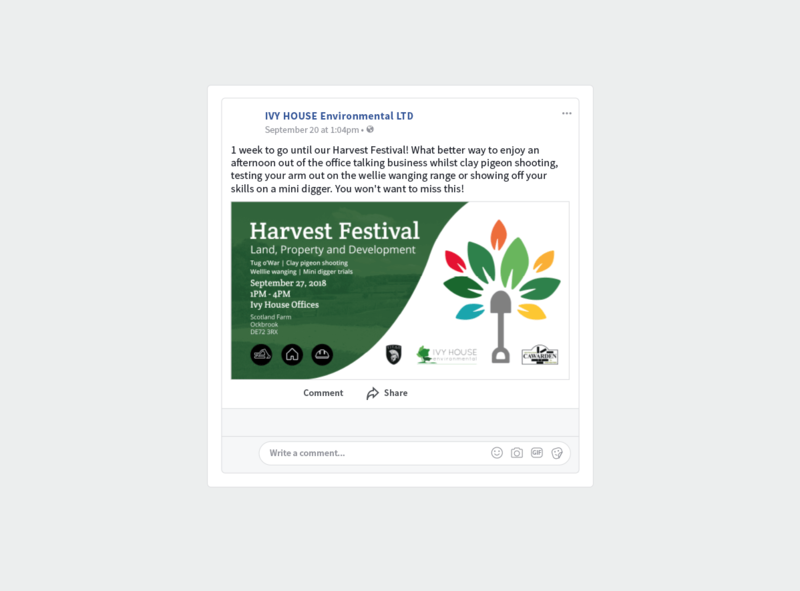 In September 2018, Ivy House Environmental hosted its first ever Harvest Festival — working with Koobr to ensure the event was professionally marketed and received successful regional coverage. Based in the East Midlands, Ivy House is one of the UK’s leading environmental consultancy groups, working with national and overseas organisations to provide specialist ground engineering and waste management services. As part of its ongoing commitment to support local causes, Ivy House approached Koobr to brand, market and promote an in-house charity event; a Harvest Festival themed event bringing together key members of the surrounding community to help raise funds and increase awareness for local charity Titan Trust. 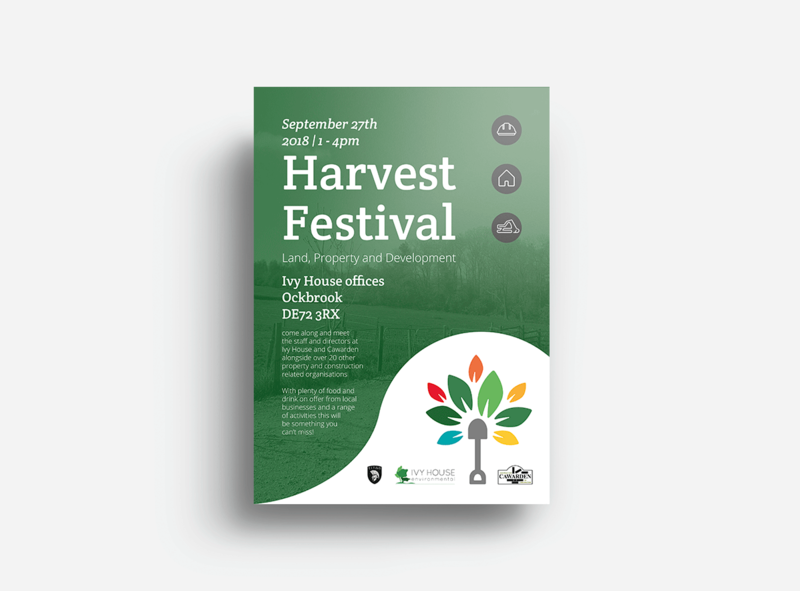 The first thing required was a logo to serve as a signifier, something that could establish a strong sense of brand recognition surrounding the event and could be used for all subsequent Harvest Festival events organised by Ivy House. Once a logo was created, with careful consideration taken to ensure it perfectly captured the theme, nature and spirit of the event, promotional assets were then designed; keeping to a clear and consistent style throughout. 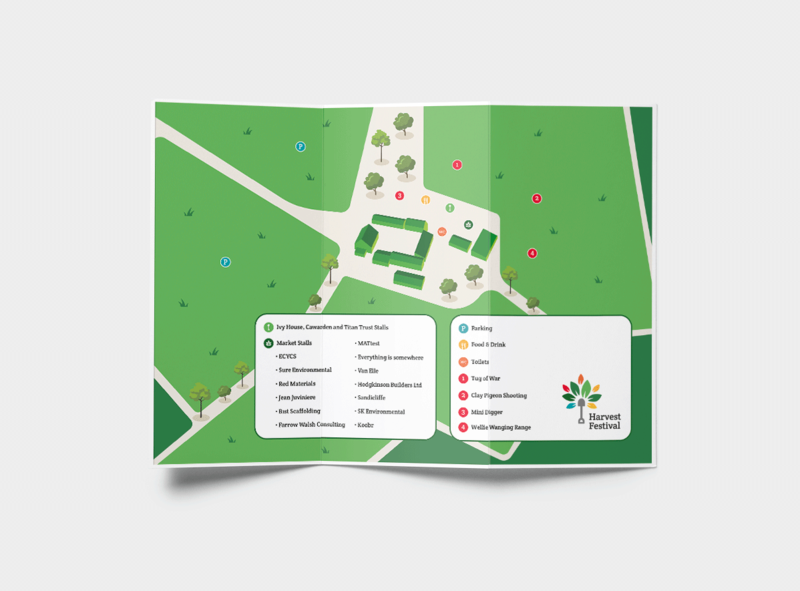 These included a flyer and map, and a suite of social media graphics that would all be used to market the event both physically and digitally. Promotion of the event was bolstered by a PR strategy devised and implemented by Koobr’s marketing team, ensuring maximum news coverage of the event during the initial lead up. The Harvest Festival event organised by Ivy House was given a totally new brand identity and promotion was supported by a PR strategy to help gain maximum exposure.